Does a 520 Sprocket Conversion Kit Really Increase Power? Does a 520 Sprocket Conversion Kit Increase Power? The answer to this question has been much debated, but the short answer is yes. In today’s world of advancing motorcycle parts technology, manufacturers are consistently producing a better, stronger and lighter product. So where does this technology come into play? If you take a stock 1000cc bike for example that comes with a 530 sprocket and chain on it, keep the gearing the same and swap it out for a 520 sprocket and chain kit, you are in essence reducing the weight of the drive train. 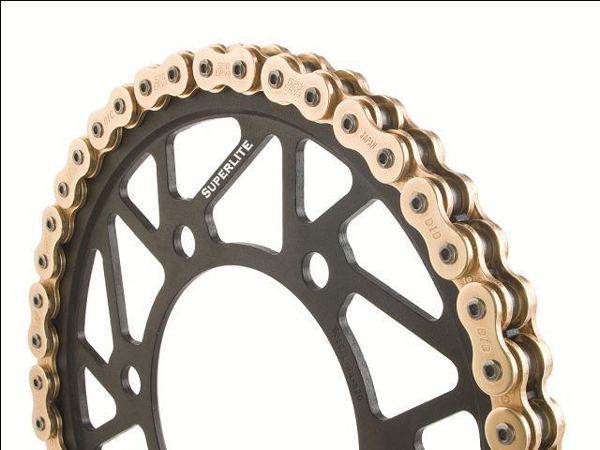 Most modern 520 chains, are strong enough for most motorcycles sizes, and weight considerably less than their 530 counterparts. Let’s look at the chain first. We will use the EK MVXZ 530 and EK MVXZ 520 chains in the comparison. The specs on the EK MVXZ 530 chains are said to have a tensile strength of 9,900lbs with a weight of 5lbs 7.6ozs. 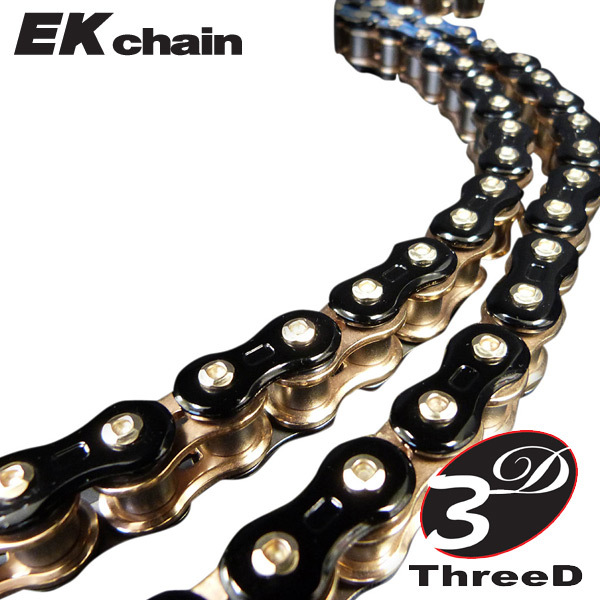 The EK MVXZ 520 chain has a tensile strength of 9,000 and a weight of 4lbs 15ozs. They are both rated at the same max cc of 1000cc but as you can see, the 520 chain is almost 1/2lb lighter than the 530 chain. This weight reduction affects your rotational mass and has quite an effect on the power being transferred to the rear wheels. Superstreetbike.com did a good right up and dyno on the 530 vs 520 sprocket kits and found that an increase in horsepower and torque was found. Althuogh it might not be a huge increase, every little bit helps and you will eventually need a new chain and sprocket kit so why not make it a 520 Sprocket & Chain conversion kit. Well the 520 sprocket & chain conversion kits might be the answer for your. One of the greatest power gains for the money is reducing your rotational mass (unsprung mass). The modern day 520 chains now have extremely high tensile strengths and weight much less than the 525 or 530 chains. Also a lot of the 520 sprockets nowadays are made out of light weight aircraft grade aluminum or superlite steel further reducing your rotational mass. By switching from a 530 to 520 sprocket and chain conversion, you can lose up to as much as 4 lbs in total which translates to more power and hp gains at the rear wheel.